Four members of the UK Parliament are in Washington DC to put pressure on lawmakers and the Presidential administration to free Shaker Aamer, the only British Guantanamo prisoner. A 48-year-old Saudi citizen with British residency, Aamer has been held in the Guantanamo Bay prison for terror suspects for well over 13 years. He was initially held in Kabul, while doing voluntary work for an Islamic charity. He was accused of being a recruiter and financier for the Al-Qaeda terrorist network, although throughout his stay in Guantanamo, no charges have been brought against him. Aamer and his lawyers say he was tortured while in custody and while being transferred to Guantanamo. Andrew Mitchell believes Aamer’s case could be stuck in red tape. “We hope that it is merely bureaucratic inertia. That is why we are going, to try and cut through these difficulties in securing his release,” he said prior to going to Washington. In a January visit to Washington, UK Prime Minister David Cameron urged President Barack Obama to release Shaker Aamer, to which Obama responded with a promise to “prioritize” the review of his case. 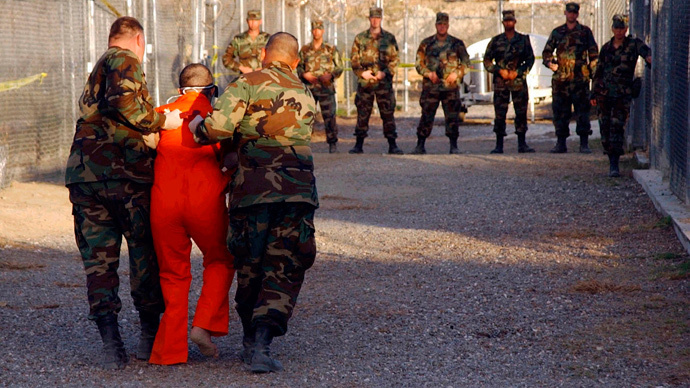 In April, a Washington Post report claimed the US president was planning to release Aamer by the end of 2015 along with half of Guantanamo inmates. It is reportedly part of a push to close the prison down – a promise he made during both his election campaigns.